We bring forth the best quality Ultrasonic Mold Cleaner for our valued customers. 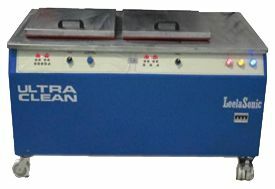 Ultrasonic Mold Cleaner in Mumbai India offers perfect solution for cleaning mold in various industries. Ultrasonic Mold Cleaner is easy to use and assures 100% effortless cleaning. Moreover, we hold specialization in manufacturing, supplying and exporting Ultrasonic Mold Cleaner as per the customers specifications. 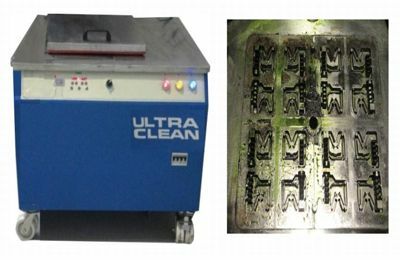 Why Ultrasonic Mold Cleaning ? Thorough cleaning of mould always is always a worry in industries. 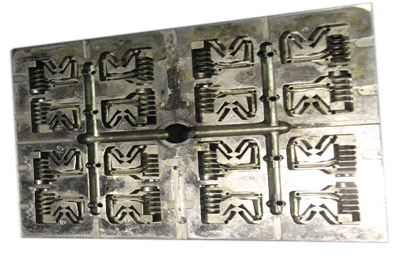 Most of the industries are still cleaning the mold by hand scrubbing method. Residue on mold is removed by rubbing the cleaning solution / Solvent with the help of brush. The cleaning method is time consuming, waste of manpower and still cleaning is not consistence & not up to the mark. Hence, we bring forth Ultrasonic Rubber Mold Cleaner which is processed considering the industrial and customer use. With latest MOSFET / IGBT base technology. Automatic frequency tuning for maximum output. Low transducer losses permit maximum cleaning action. Modular generator for easier modification/servicing. Rugged and easy to clean stainless steel housing. Extensively protected electronics circuits for longer and safe operation. Frequency 25KHz / 33KHz / 40 KHz + 3 KHz. Input voltage range of 170AC-270AC.50 Hz. Labor cost is substantially reduced. Reduced mold damage from cleaning. MOSFET / IGBT Base technology save the power. Heater with thermostatically control increase cleaning effect. Rust free stainless steel housing , easy to clean. Free Lid & Basket as per customer need. Other than above mention sizes are also available as per customer requirement. Dist. Thane, Mumbai Maharashtra, India.